HIS Excalibur 9550SE enhanced processing technology, Microsoft® DirectX® 9.0 support and full precision cinematic graphics, Excalibur 9550 represents an unparalleled combination of cinematic and high-performance functionality. 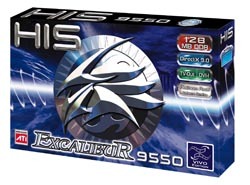 Add quad-pipe architecture with massive fill rates, and witness Excalibur 9550SE emerge as an appealing solution to enthusiasts and devoted gamers alike. Embedded with the ATI RAGE THEATER, HIS Excalibur 9550SE VIVO provides video encoder/decoder that elevates video on the PC to the next level of integration and performance. Its advanced processing features are designed to generate a superior video out image, making it particularly suited for applications such as TV Web browsing. Very happy with this graphics card. I knew nothing about computers when I bought it. 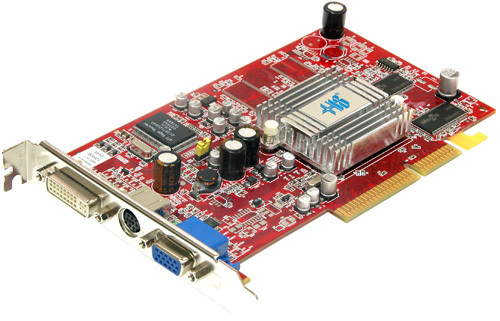 I am not a gamer but was having trouble loading large photo's and this card was within my price range. It transformed my use of computers into an enjoyable experience. I have upgraded my computer many times now, used this graphics card in all of them and it has never let me down.